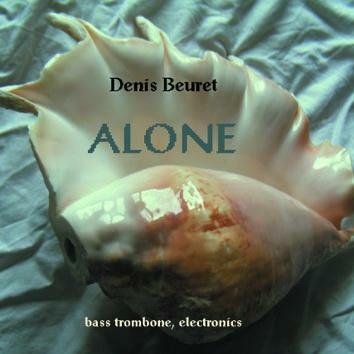 Denis Beuret is a wizard of trombone playing. 12 improvisations recorded here reflect his vast musical palette. The originality of sonorities, mixing double sounds, digital effects, innovating mutes, new mouthpieces and other astonishing accessories combine with an original polyrhythmic use of loops. They were recorded live and in one take. To believe this it is imperative to experience his radical performance live in order to see and understand how he achieves this amazing results.